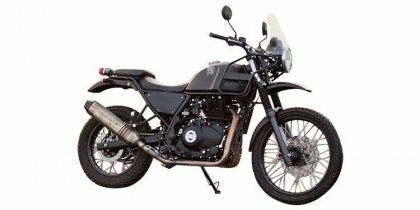 Royal Enfield Himalayan price starts at Rs.1.79 lakh (Ex-Showroom, Delhi) and the top end variant Royal Enfield Himalayan Sleet is priced at Rs. 1.82 lakh (Ex-Showroom, Delhi). It features the all-new 411cc single-cylinder engine that offers 24.8PS at 6500rpm and 32Nm of torque at 4350rpm. The bike also comes with fuel injection to make it BS-IV compliant. For the first time, Royal Enfield has introduced a bike with monoshock rear suspension with the Himalayan. It also offers 220mm of ground clearance to ensure a smooth ride in the most difficult of terrains. The bike gets large spoked wheels, 19-inchers at the front, and shod with dual-purpose tyres to make it competent to ride over rough terrains. Braking is done by disc brakes on both ends while ABS has been given a miss to keep cost low. Q. How effective is ABS in Himalayan, is it worth paying 15-20 k more than the usual FI version?